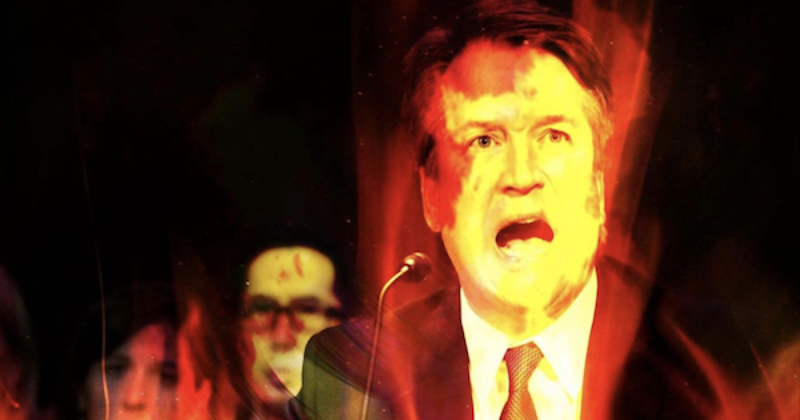 Which Witch Will Be The Witch To Bewitch Brett Kavanaugh? According to invite on the event’s Facebook page (see below), 1K witches have committed to the Hexing, and another 10K are interested. Which raises the question, if all those witches show up, will they all wear black capes and pointed hats? If that happens, it will be challenging to figure out which witch is which. Even worse, if a spell is cast during this event, it will be even more challenging to figure out which witch successfully placed the hex, or in other worlds which witch is the bewitching witch. Note to readers and my computer’s spell checker. The below is cut and pasted from the facebook page description of the event. The grammar and spelling are theirs. Sadly my wife tells me we are busy next Saturday night. 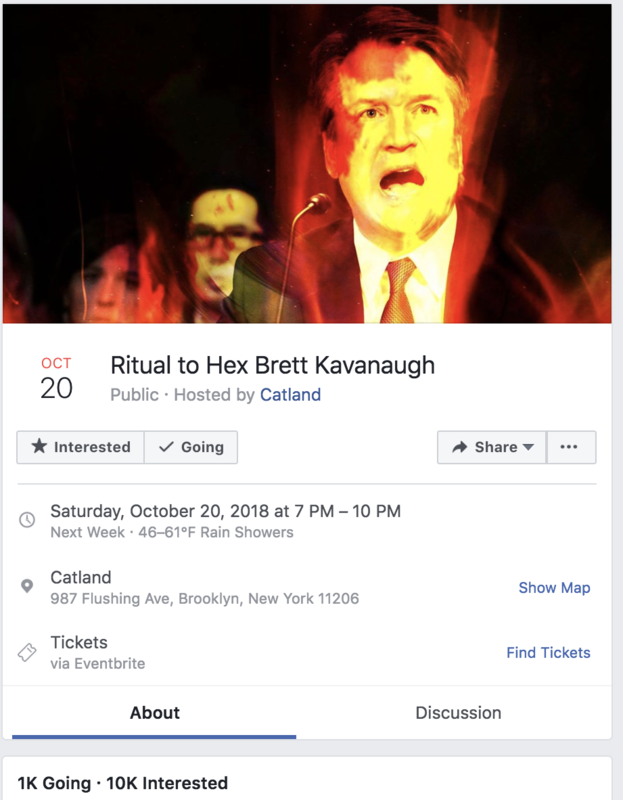 We have plans to do anything but hang out with Kavanaugh hating witches so I won’t be able to travel to the land of my forefathers (Brooklyn) and attend the hex. Since I am not now nor have I ever been a witch or warlock it is probably best (although I did enjoy each of the Harry Potter movies I am told it doesn’t count).